Home > News > Uncategorised > Christmas Carol Service at Farm Street Church, Thursday 6th of December. 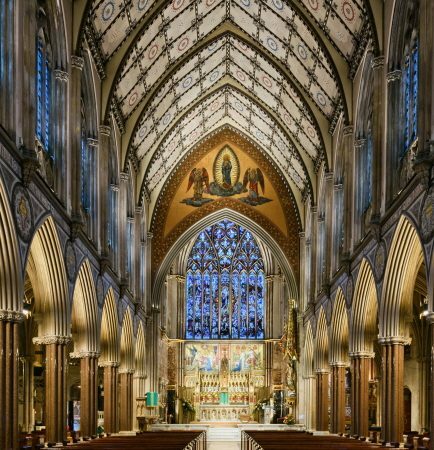 The Headmaster of the College, John Browne would like to invite parents, prospective parents, OS and all friends of Stonyhurst to a Christmas Carol Service on Thursday 6th of December at 19.30 at the Farm Street Church, London. The event promises to be a magically festive evening as the Stonyhurst Choir performs a selection of Christmas carols. We hope that you will attend the atmospheric service and join us afterwards for festive drinks and mince pies to celebrate Christmas with fellow members of the Stonyhurst community. For catering purposes please let us know if you plan to attend.